Buying a house, and getting a mortgage is one of the most important things that you can do during your lifetime. Therefore, it’s vital that you get good, sound advice; so you end up with the best mortgage that suits your needs exactly. There are many types of mortgage available. These include home loan mortgages created to help first time buyers, refinance mortgages (refixing mortgages) for those who wish to refinance their existing mortgage, debt consolidation mortgages, equity release mortgages, and even mortgages specially designed for property investors. With such a wide variety of mortgage types available, and so many products on the market, no wonder why many people find the process both frustrating and confusing. However, help is at hand! 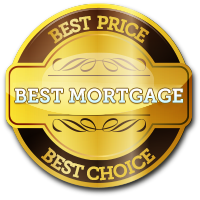 Best Mortgage Quotes NZ can help you to get the right type of mortgage customised to your exact needs, and get you the best NZ mortgage rates; quickly and easily, and without confusion.